On 28 September, the Committee of Advertising Practice (CAP) – released a new ‘Influencer’s Guide’. The guide sets out how to stick to the advertising rules, and is essential reading for anyone who is an influencer, or uses influencer marketing. We summarise its key points here. Remind me – who are the ASA and CAP? The Advertising Standards Authority (ASA) polices and enforces advertising standards set by the Committee of Advertising Practice (CAP), which sets rules for advertising in the UK. Any company advertising in the UK, even if not governed by an industry body like the Financial Conduct Authority, needs to abide by the CAP rules. You can read more about what this means in this blog on How to comply with the CAP code. It’s the practice of using influential people in your sector to endorse and promote your services. Social media is its ideal platform; in a digital world, this influence can be instant – and have immediate results for your business. Why has CAP produced an influencer marketing guide? The guide has been produced following discussions CAP had with influencers and agencies. The idea is to bring together all the advice both parties need to follow to make sure they stick to the advertising rules. While the Guide is aimed at influencers themselves, marketers across industry are increasingly tapping into influencers’ ability to connect with their followers. So it also serves as useful guidance for any marketer wanting to harness influencers for their own strategy. The Guide points out that many broader regulations apply equally to influencers. But anyone taking this approach may want to pay particular attention to the UK Code of Non-broadcast Advertising and Direct & Promotional Marketing (the CAP Code) and the Consumer Protection from Unfair Trading Regulations 2008 (CPRs). The CAP Code is enforced by the ASA, and applies to most forms of influencer marketing. In particular, Section 2 of the Code includes rules about how ads should be recognisable as ads. Section 3 looks at rules advertisers must follow to ensure they are not misleading people. The consumer protection legislation outlaws ‘unfair commercial practices’, which include using editorial content to promote a product without making it clear that the piece is advertorial rather than purely editorial. Under the CAP Code, there are several types of content/promotion that fall under the scope of an ‘ad’. These include paid-for space – ie, using space usually reserved for ads, like banners or sponsored/promoted posts on social media. This includes any promotion of your own events, products or services on your own website. Affiliate marketing – when your content promotes particular products or services with a hyperlink that generates income for you when people buy via the link – also counts as advertising and you need to make clear that it is. ‘Paid’ you in some way – which can mean freebies like products, gifts, hotel stays etc, not just money. Has had some form of editorial control over the content – which means that you did not have complete editorial freedom to write what you wanted. It applies to imagery and design as well as wording. Agreements about the number of times content is posted or specifying times/dates to post can also count as ‘control’. Both of these need to apply – there needs to have been both ‘payment’ and ‘control’ for this type of post to count as an ad under the CAP Code. Consumer protection still apples if there has been payment but no control; this is regulated by the CMA. How do you make it clear that ads are ads? Under the CAP Code, ads must be ‘obviously identifiable as such’. This can be a particular issue for influencer marketing, where promotional and independent content often sit side by side. Both publisher and influencer are responsible for making sure advertorial content is clearly badged as advertising. On your own site, talking about your own products, it’s usually pretty obvious that content is promotional in nature. 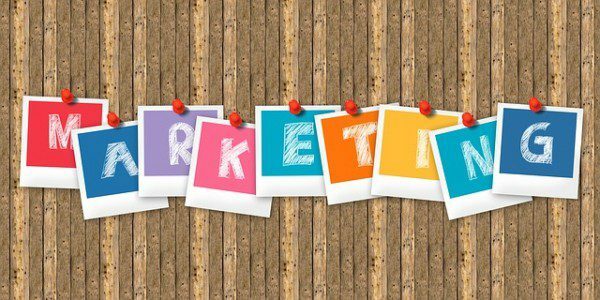 Affiliate marketing and advertorial content can be less clear-cut and you may need to work a little harder to make it obvious that an ad is an ad. Badging it as such (for instance, with an ‘#ad’ hashtag on social media) is one way the ASA suggests to tackle this. The Guide includes details of wording the ASA likes – and is less keen on – when describing ads. While ‘ad’, ‘advert’ and ‘advertising’ are all fine, terms like ‘sponsored content’ or ‘In association with’ are more ambiguous and therefore can be problematic. If your ad isn’t covered by the CAP Code, but you were ‘paid’ in money or kind, the CMA’s consumer protection legislation still applies. You can read more on the consumer protection rules on the CMA website here and here. The Guide also sets out the process if someone complains about one of your ads. Whether you are publishing advertising content on others’ platforms, or including promotional content from others on your website and elsewhere, you need to be aware of the ASA/CAP guidance. The new Guide is a great place to start.